It might seem like a no brainer that drying your clothes on the line instead of in a clothes dryer will lower your carbon footprint. But did you know that washing your clothes in cold water and hanging the on the line can save an estimated 400kg of CO2 emissions a year (based on one person). If one million of us start doing that then the numbers being to add up quickly! These are our best tips and tricks for drying clothes naturally. Half a cup of vinegar in a small load will soften your laundry and decrease the chance of it coming out crinkly. Plus it acts as an antibacterial agent that kills mould and it'll brighten your whites! I also put in a cap of eucalyptus oil because it smells divine and cuts through grease! This one comes from 1 Million Women community member Sarah who swears that hanging your jeans inside out leaves them wrinkle free. It's worth a try! Fitted sheets can be a nightmare to hang! Community member Mary said she makes two (very) small stitch marks on each side of the half way point of her sheets so that she can identify where it is an hang it quickly without fumbling over the line! Great idea. Pre-hanging your clothes before you put them out to dry is great as it saves space on the line and clothing that doesn't need to be ironed can go straight back to your closet once dry! However if it's windy the can blow off and you're right back where you started! 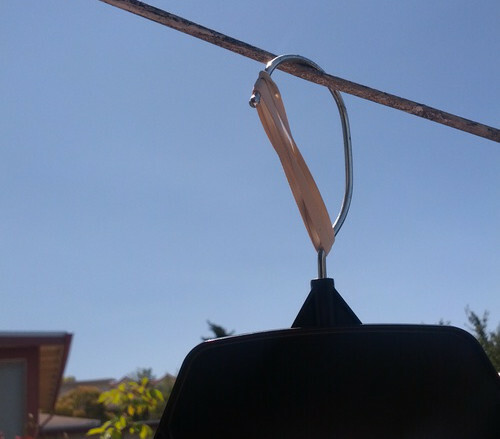 To prevent this from happening simply attach a rubber band from the base of the "hook" section of the hanger to the top like so. 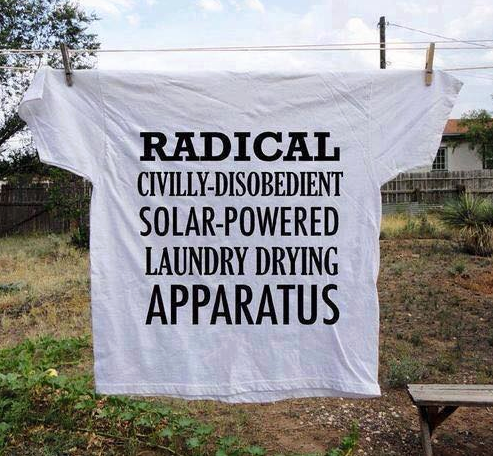 Why not pledge to line dry your washing as part of our Carbon Challenge. It's free to join and you can start tracking the good you're doing today! To add this activity to your dashboard click here. How do you bring sustainability into your household? Let us know in the comments section below.